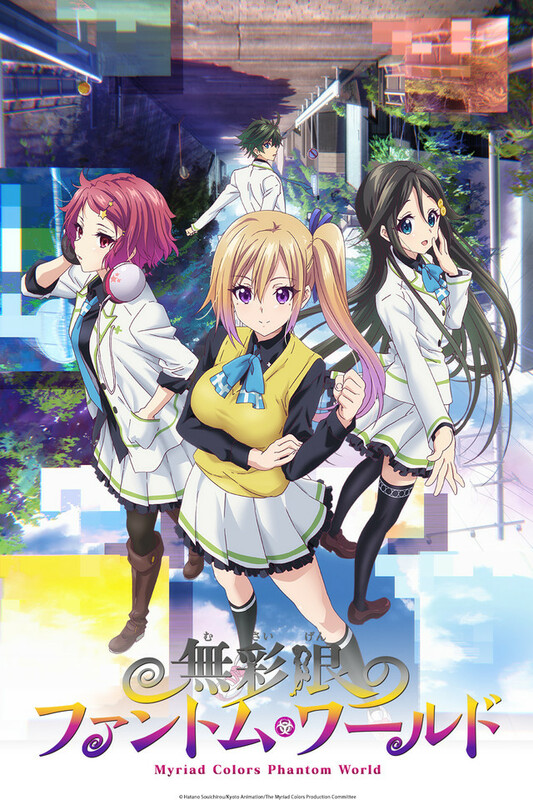 You know, it’s only a matter of time before gift from Myriad Colors Phantom World start to circulate again, so we’re getting in on the ground floor. 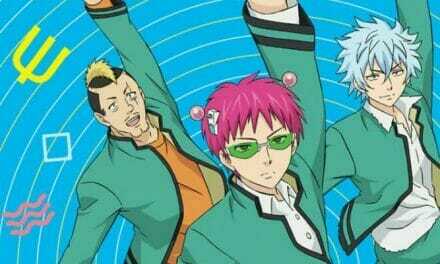 Earlier today, Funimation announced that they acquired the license to 2009 anime series Kiddy Girl-And. 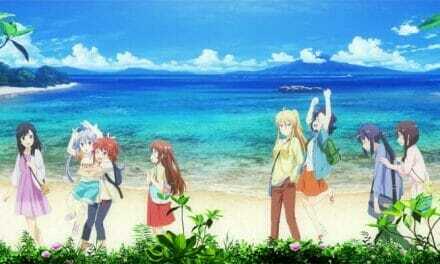 The title is slated to hit Blu-Ray and DVD on November 28. All three titles will hit retailers on November 21. The Future Diary combo pack will include the OVA that includes the “true end” to the series. Kiddy Girl-And is the sequel to 2002 series Kiddy Grade. Keiji Gotoh (Endride, Kiddy Grade) directed the 24-episode series at Satelight, with Megumi Kadonosono (Vampire Princess Miyu (TV), Kiddy Grade) providing character designs. 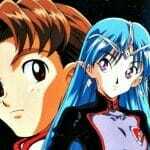 Hidefumi Kimura (Kiddy Grade, The Silver Guardian) was in charge of series composition for the project. Funimation previously released Kiddy Grade in North America. 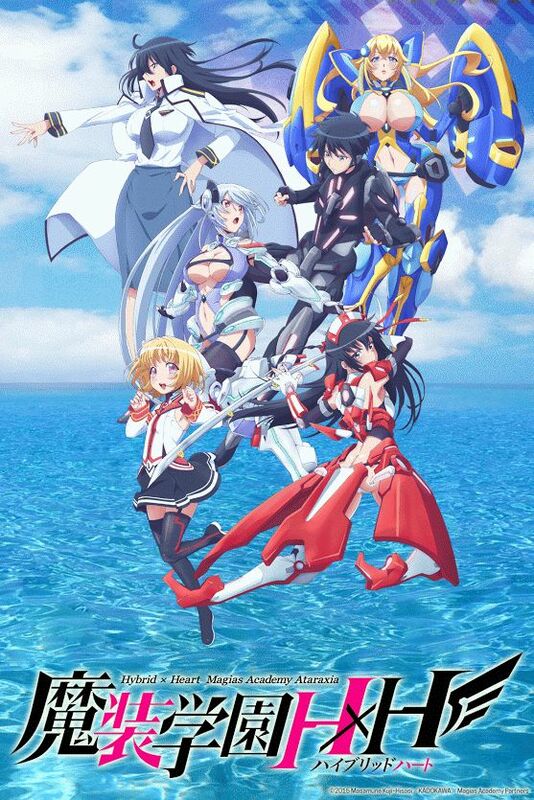 Hybrid x Heart Magias Academy Ataraxia is based on Masamune Kuji’s light novel series of the same name. Hiroyuki Furukawa (My Wife is the Student Council President) is directed the series at Production IMS, with Kana Miyai providing character designs. 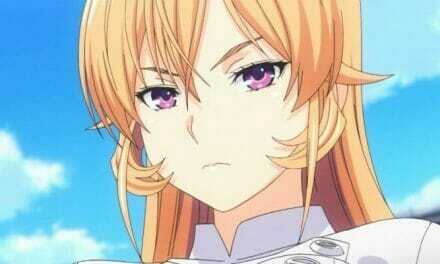 Yasunori Yamada (Karin, A Little Snow Fairy Sugar) was in charge of series composition. One day, humanity was invaded by another world. Having experienced that battle, which came to be known as the start of Other World War I, humanity moved en mass to marine floats, built for emergency evacuation purposes, as soon as the bell rang for Other World War II less than twenty years later. 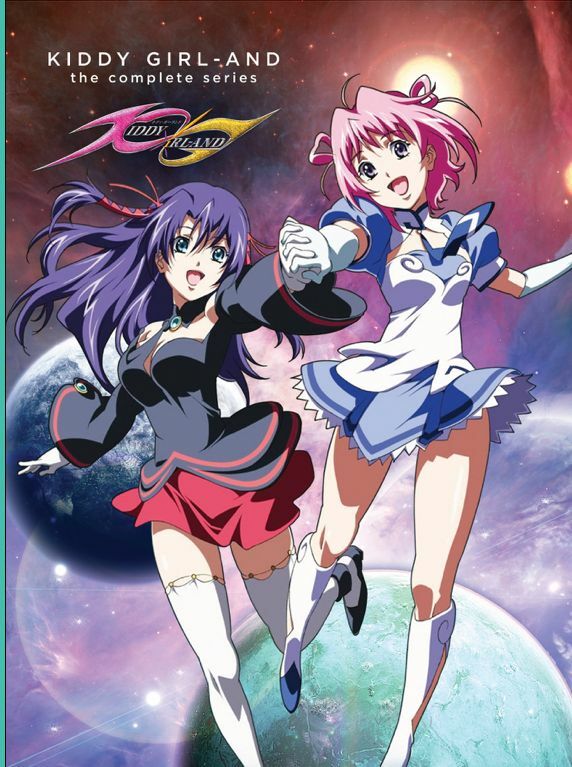 It’s around that time that Kizuna Hida is summoned by his elder sister and visits the Strategic Defense Academy Ataraxia on the Japanese float, where he meets Aine Chidorigafuchi, a girl who uses Heart Hybrid Gear Zeros to fight the otherworldly enemies. He has a tough time dealing with her saucy nature and sharp tongue, but when her Heart Hybrid Gear runs out of energy after fighting the enemy, the only way to get it back in action is to do something lewd to her! With the future of humanity on the line, Kizuna would go on to perform lewd acts with loads of girls! 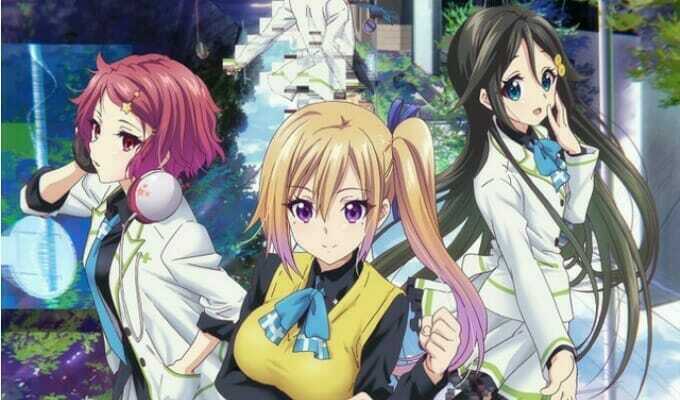 Myriad Colors Phantom World is based on Sōichirō Hatano’s novel of the same name. Tatsuya Ishihara (Clannad, Sound! Euphonium) directed the series at Kyoto Animation, while Kazumi Ikeda (Clannad, Love, Chunibyo, & Other Delusions) handled character designs. Fumihiko Shimo (Air, Clannad) took charge of series composition for the project. In the near future, monstrous creatures called “phantoms” descend upon the world. 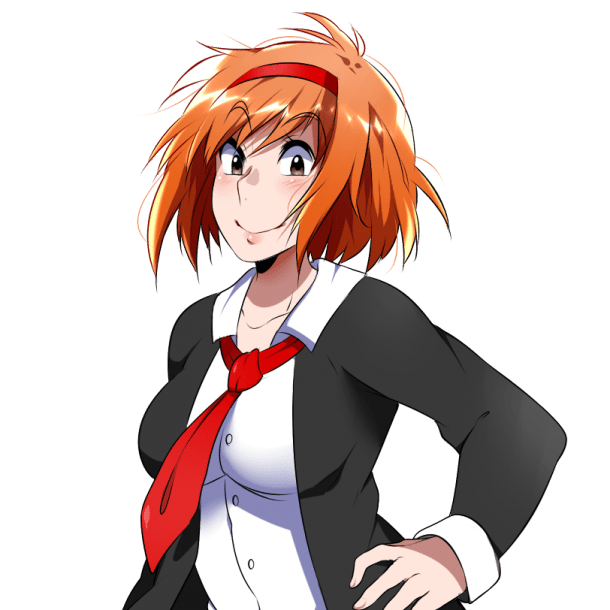 Haruhiko Ichijo is a student at Hosea Academy, along with Mai Kawakami, Reina Izumi, and Koito Minase, three girls who fight these creatures. 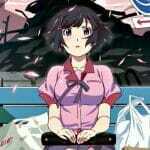 High school life proceeds as normal until a certain incident reveals the truth of their world to them. 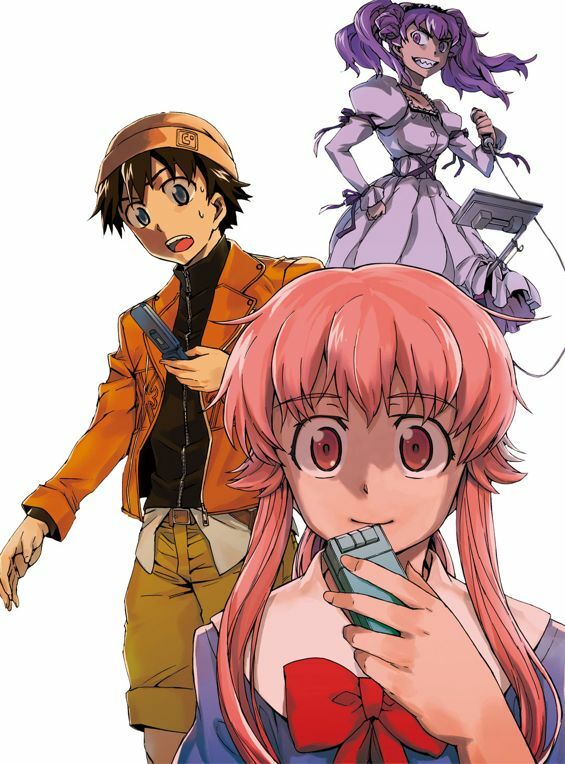 The Future Diary is based on Sakae Esuno’s manga of the same name. The 2011 series was directed by Naoto Hosoda ((The) Devil is a Part-Timer!, Shuffle!) at studio asread, with Hidetsugu Hirayama (Shuffle!, Star Blazers 2199) providing character designs. Katsuhiko Takayama (Aldnoah.Zero, Sagrada Reset) was in charge of series composition for the title. Reality quickly unravels when antisocial Yukiteru is called into a death match against 11 other mentally scarred individuals.